Sarah Achieng Opendi, the State Minister for Health (General Duties) said that reading the Bible for a long time threatens one’s life. 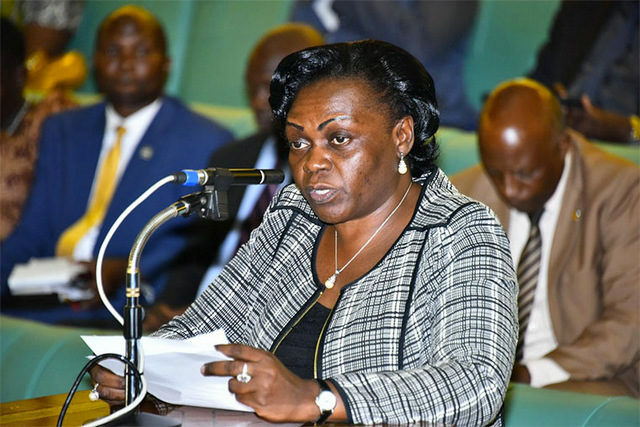 Opendi who is also the Woman Member of Parliament for Tororo District, says spending a lot of time in Bible reading causes Non-Communicable Diseases. Opendi opened up his statement during a launch of the Dhopadhola Bible at Busitema University Nagongera Campus that she officiated. Dhopadhola is a Luo speaking group of people found in Eastern Uganda, particularly Tororo District. They constitute eight percent of Uganda’s population. As she addressed the congregation, Opendi urged the Christians community to stop spending a lot of their time reading the Bible shunning other activities because it’s associated with various health complications. While Tanga Odoi, the National Resistance Movement (NRM) Electoral Commission Chairperson was also present at the function and dissolved all social media claims that he resigned his position. He instead said it’s impossible for him to step aside from a job he is excellently performing.